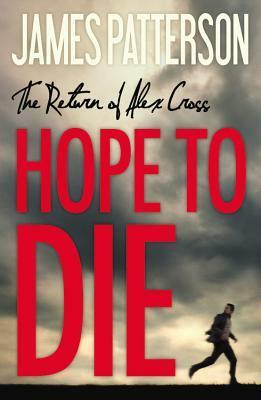 Hope to Die brings readers the conclusion to the story that began in Cross My Heart. It is a crazy and emotional run and has one of the most disturbing antagonists in the whole series to date. Can there really be a perfect criminal? Or can one man withstand trying tests to take him down in the end? That is Cross’s mission, and he learns a lot about himself and his family along the way. I must say, with every book I read in this series, I just like Bree more and more as a character, and this one didn’t let me down there. She gets stronger and more integral to the series with every book, and she is definitely one of my favorite characters overall from this series. Hope to Die is a page turner, and I don’t think anyone will be let down by the awesome ending. Somehow I ended up reading this book before Cross My Heart. It made a lot more sense once I went back and read that one. Goes to show, you should never skip a book in a series. We listened to this on a car trip. I must say that I love Patterson's books, though most of the time we purchase his audio books. I am especially fond of the Alex Cross series. Love the review! I have never gotten one of his books as an audio book, but it would make a car trip go by pretty quick!